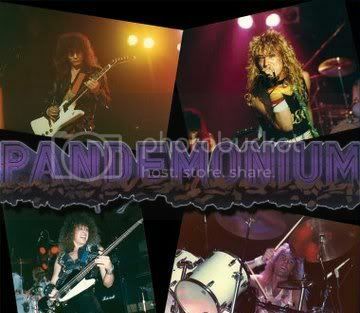 That’s, of course, what a young Sarah Palin might have squealed had she heard Alaska’s only metal band rocking out in rehearsals or around the bars of Fairbanks. 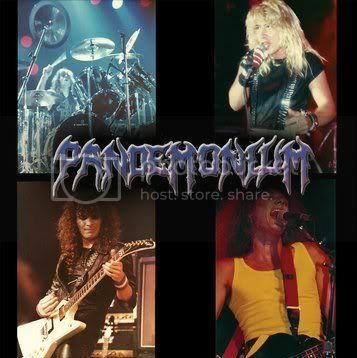 But she’d be wrong (as she is about so many things) for this particular din would have been coming from PANDEMONIUM, a band destined to be one of Metal Blade’s early signings, kicking up quite the storm on the LA scene en route to three albums of ‘80s metal, not quite hair and not quite way heavier that hair. Why am I telling you all this and trying to make lame jokes at the same time? 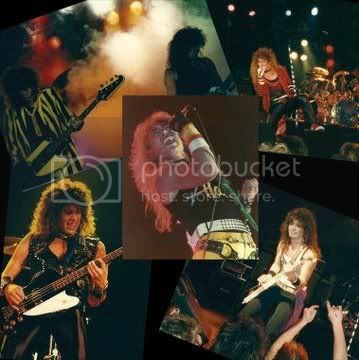 Well, it’s ‘cos the band’s three albums, Heavy Metal Soldiers, Hole In The Sky and The Kill have all been reissued by Retrospect Records where, says guitarist David Resch, they are running a deal right now allowing you to pick up all three of the band’s remastered reissues (with bonus tracks) for $30. 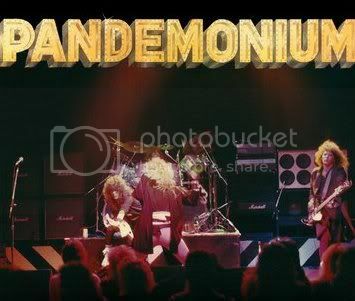 Despite brushes with the ladder’s next rung as it were, most notably interest from Geffen and various management companies around town, Pandemonium never got the breaks they were after, possibly because they patently refused to go hair metal.